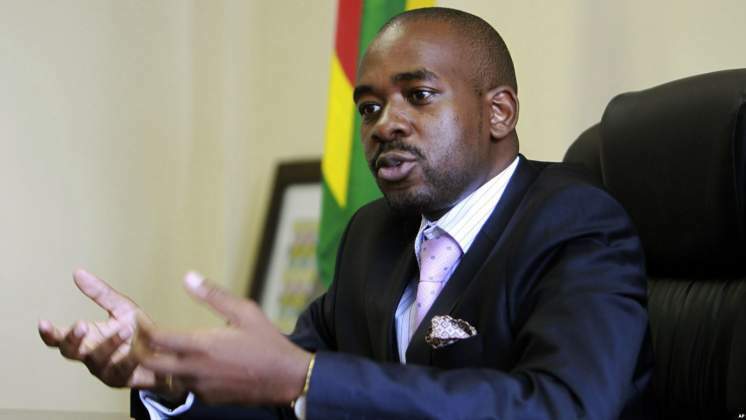 The Nelson Chamisa led MDC has appealed for help to the international community to amplify the plight of Zimbabwe who are reportedly being arrested, tortured and killed by soldiers in communities.
" We are being butchered in the townships by Soldiers. Internet has been shutdown to prevent the world from helping us. This is an appeal for help to the International Community." The MDC Deputy Treasurer General Charlton Hwende said in an appeal to USA's Donald Trump, UK's Teresa May and African Head States. Hwende further said Zimbabwe has degenerated into a fully fledged military dictatorship. "Shutting down Internet just confirms that our regime is now a fully fledged military dictatorship. We need a leadership that shut down our political and economic problems." To appease civil servants who are on industrial action, government on Tuesday awarded salary adjustment to them saying it's a package that will assist them to survive while negotiations are still ongoing between labour and the employer. Hwende also blasted this move saying it does not heal the real problem on the ground. "Mnangagwa's government has just awarded a 5-22% salary adjustments for civil servants only for January to March this is like drinking GV to cure a headache." Hwende said. "The solution lies in addressing the fundamental National Question of legitimacy. Even songs from protesters they want their vote restored."